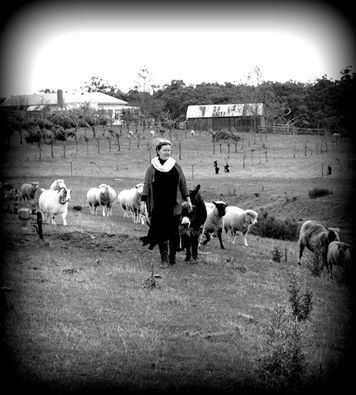 EWE - Ethical Wool Enterprises « From rescue sheep to EWE. Welcome to EWE, Ethical Wool Enterprises. EWE is based in picturesque central Victoria, Australia. Our property, Eastern Hill Organic Farm is the base for our animal rescue and rehabilitation project, Honey’s Pledge and the home for our flock of rescue sheep and alpacas. Our rescue sheep and alpacas will live out their natural lives with us. We do not breed any animals. The sheep and alpacas must be shorn of their fleeces once a year to maintain their health. Their fleece is not only organic, it is 100% ethical. You can purchase our fleece and fleece product with absolute confidence that no animal has been harmed in any way in its production. As all profits from our sales are used in our animal rescue, your support will assist animals in need. I received the yarn and alpaca fiber yesterday and am so happy. The yarn is beautiful and the alpaca is so soft. As a vegan knitter and spinner, I find very few sources of animal fiber where I can be sure the animals are well-taken care of. Thank you for all of your efforts saving the animals. I’m happy to support your rescue and hope to purchase again in the future.